The Independent Doctors of Optometry associated with Parrelli Optical® are committed to helping you and your family to maintain and preserve healthy eyes. Using state-of-the-art equipment, our experienced eye doctors will perform comprehensive eye exams and evaluations that will effectively address your eye health and vision needs. They will thoroughly discuss their findings and any risk factors they have noted, and then work with you to develop a plan to optimize your vision and your continued eye health. 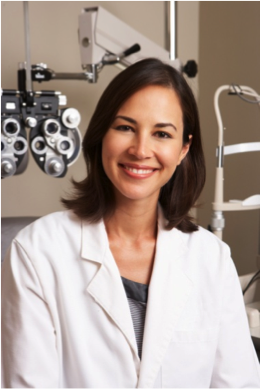 Eye examinations are available in Beverly, Cambridge, Danvers and North Andover. We recommend routine eye exams. But, most visits to the Eye Doctor are to adjust prescriptions for patients that are not seeing well. The process of determining your prescription is called the refraction. While the refraction is only a small part of the tests that we will perform during your eye exam in Beverly, Cambridge, Danvers or North Andover, the accuracy of those results determines how happy you will be with your new correction. The independent Doctors of Optometry associated with Parrelli Optical® are experts at measuring your eyes and prescribing powers that will optimize your vision distance, near and everywhere in between. Your eyes rarely hurt when there is something wrong. Many eye diseases can be detected through routine eye exams and treated effectively before they cause damage that cannot otherwise be repaired. In addition, a variety of whole-body diseases can be indentified during an eye exam and be treated before they cause permanent damage. That is why we include eye health assessments in our routine eye exams for vision. If you experience sudden changes in vision or unusual visual symptoms you should call to schedule an immediate visit. If we diagnosis eye disease our relationship with world-renowned ophthalmologists ensure that our patients receive the best overall medical and visual care. We know the human eye was originally was designed to work for about forty years. We also know that 70 is the new 50, and we want your eyes to keep up with your active lifestyle. So we have created a comprehensive eye exam for you. In addition to determining the best possible prescription, our qualified independent Doctors will evaluate you for conditions that can affect your vision and eye health as you get older. There are many complications that occur with the aging eye. Increased pressure within the globe can lead to glaucoma. A lifetime of exposure to ultraviolet light and other occupational and environmental factors can trigger the formation of cataracts. Vitamin deficiencies, the burning rays of the sun, and some heredity conditions can lead to Macular Degeneration. With age comes wisdom and often dry eyes. Complications in the lids can lead to blepharitis, an irritation around the eye lashes. The good news is that our comprehensive eye exam for seniors can detect many of these problems. Early diagnosis, intervention and treatment can assure that your vision will keep up with your many daily activities. 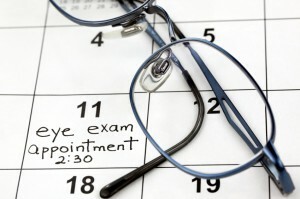 Our Doctors will take the time to assess your eye health and determine the prescription to maximize your vision. But, perhaps more importantly they will answer your questions, explain their findings and educate you about your eyes. All of the testing is performed in our state-of-the-art facilities in a relaxed and unhurried environment. 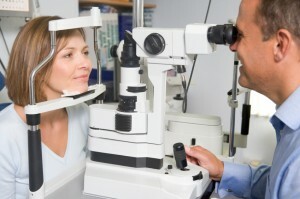 We accept most insurances and eye care coverages. Call or contact Parrelli Optical® in Beverly, Cambridge, Danvers or North Andover for your convenient appointment today! Most pediatricians are trained to monitor the development of your child’s eyes and vision. They will advise you of the need for early intervention by a pediatric ophthalmologist if it is indicated. These specialists’ can use modern techniques to accurately exam the eyes of even the youngest patients. 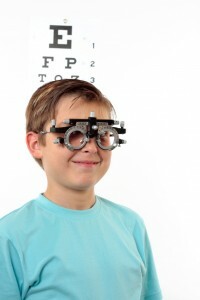 Normally, your child’s first comprehensive eye examination should coincide with their ability to recognize letters. This is usually around the time your child enters the first grade. At this visit the independent eye doctors in Beverly, Cambridge, Danvers and North Andover, associated with Parrelli Optical will evaluate your child’s eye health, the coordination of the muscles that control eye movements and measure for a prescription to convert their vision needs. Have your family’s eyes examined annually by the Independent Doctors of Optometry associated with Parrelli Optical®.